The UK Government’s most ambitious marketing initiative, the GREAT Britain campaign, has today announced it will enter a team in the Clipper 2017-18 Race. 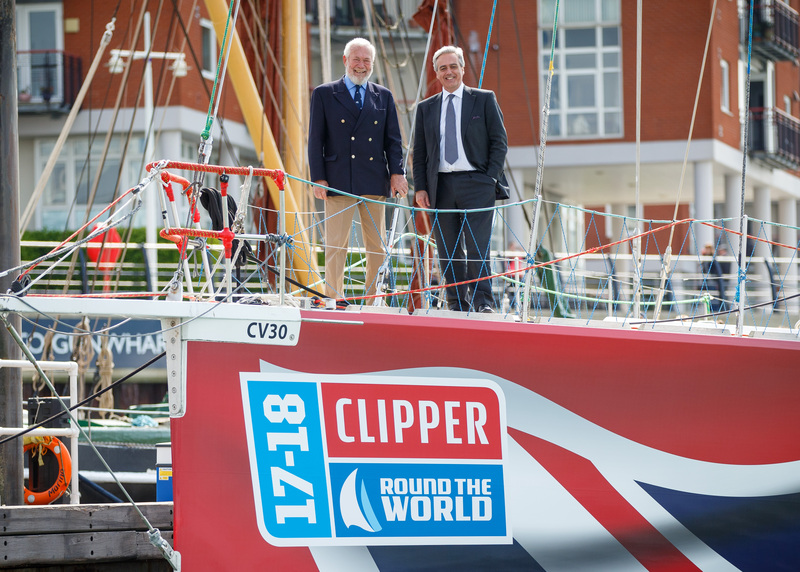 The partnership was formally revealed in Portsmouth today during an official visit by Mark Garnier MP, International Trade Minister, and Clipper Race Founder and Chairman, Sir Robin Knox-Johnston. 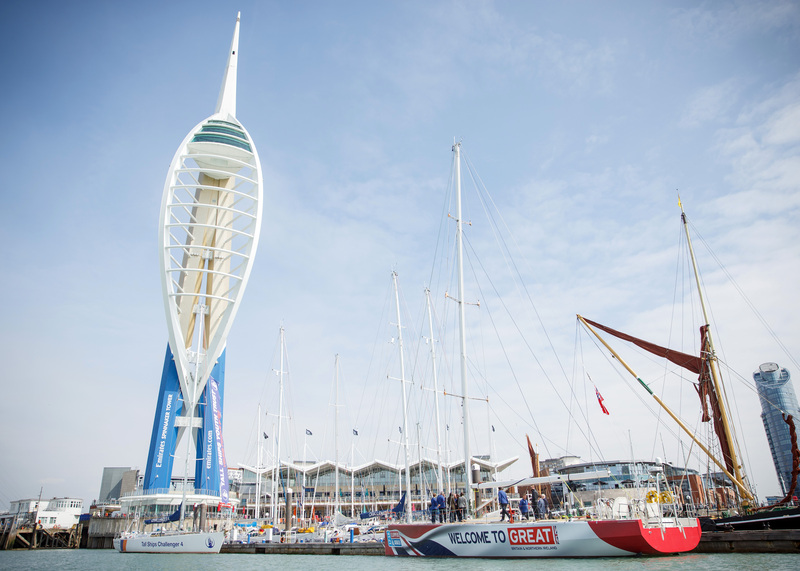 Mark Garnier MP, says: “As we look to forge new trading relationships around the world the GREAT Britain campaign’s partnership with the Clipper Round the World Yacht Race is a huge opportunity to showcase the best of British to the world. The GREAT Britain team yacht will carry its new slogan, Welcome to GREAT Britain & Northern Ireland, across both sides of its hull, allowing the UK to boldly promote itself as a creative, authentic and welcoming nation everywhere it goes whilst continuing on its journey producing high-quality return on investment for the UK. Speaking on board the yacht, Sir Robin Knox-Johnston says: “The Clipper Race offers partners a unique global platform from which to showcase and activate key brand messages around the world. “After such successful collaboration between GREAT Britain and the Clipper Race during the 2013-14 and 2015-16 editions, we are so proud to continue working with the GREAT Britain campaign to carry their evolving key messages around the globe and generating genuinely engaging content through the diplomatic networks, overseas business networks, or with other partners to the race.” Sir Robin added. The GREAT Britain campaign showcases the very best of what the UK has to offer in order to encourage the world to visit, study and do business with the UK. For the GREAT Britain campaign, the Clipper 2017-18 Race will be about projecting Britain’s values, as much as opportunities for business. As a Clipper Race Team Partner, the GREAT Britain campaign, which first partnered with the Clipper Race in 2013, will stand side by side with teams and crew from across the world to project everything the UK does best in business, education, global security and prosperity. The campaign will use the Clipper Race’s international route, to promote and deliver the Government’s increased trade agenda, getting out in to the world and showcasing the UK as the land alive with opportunity. The campaign unifies the international growth promotion efforts of different government departments and private sector companies, working with around 500 businesses and 21 government departments and Arm’s Length Bodies. The campaign focuses on China, India, Brazil, USA, the Gulf, France, Germany, Mexico, Indonesia, South Korea, Turkey and Emerging Europe and is also active in over 144 countries worldwide. To find out more about the GREAT Britain campaign, visit www.greatbritaincampaign.com.